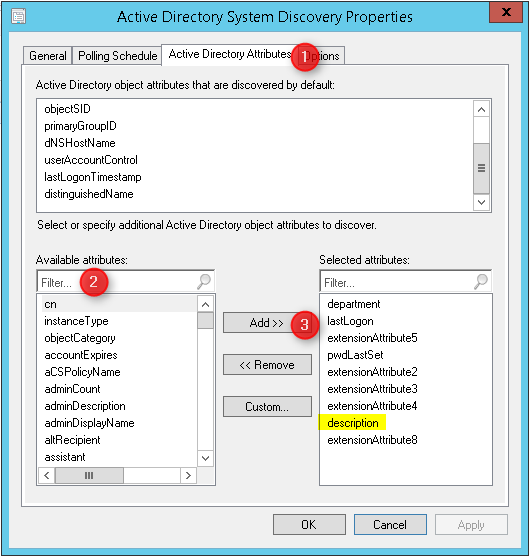 I get often asked if it’s possible to add a SCCM 2012 custom active directory attributes. The answer is yes, you can add any AD attribute, and it’s quite simple. For this post, I’ll add the Description attribute from a computer account. Ensure that your new attribute is listed in the Selected attribute list and click OK. In this example, I’ve added Description attribute. Wait for the scan to finish, you can monitor the process by opening adsysdis.log on your site server. As this is discovery data, the resulting data will be stored in the V_R_System view. With this new data you could create a new collection based on this newly collected data. You can also query this information and include it in your reports. For my example I’ve run the query on the computer shown in the first screenshot. 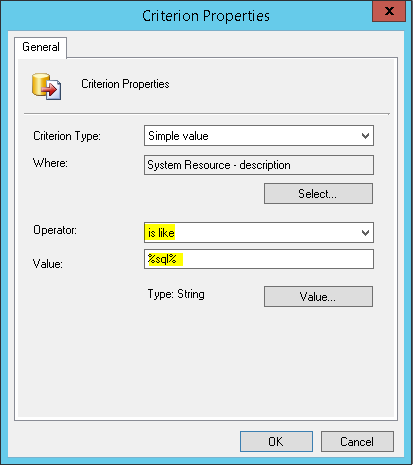 The description field in SCCM matches the data from Active Directory. 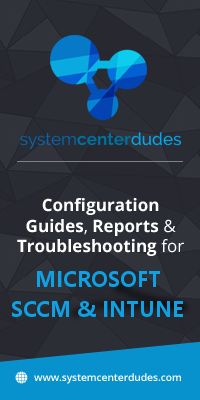 Use the following Technet link to know more about Active Directory system discovery. Is this any different in current branch config?. I have created an attribute in AD, linked it to the Computer Class, i can also see the attribute in Active Directory System Discovery as available and add it to selected attributes. yet i still get warning in logfile. It is good we can add the custom attributes to System and User Discovery. What will be the impact on SQL Database after adding this additional data? Schema has to be changed. Sync will take more network BW. Any ideas on this? 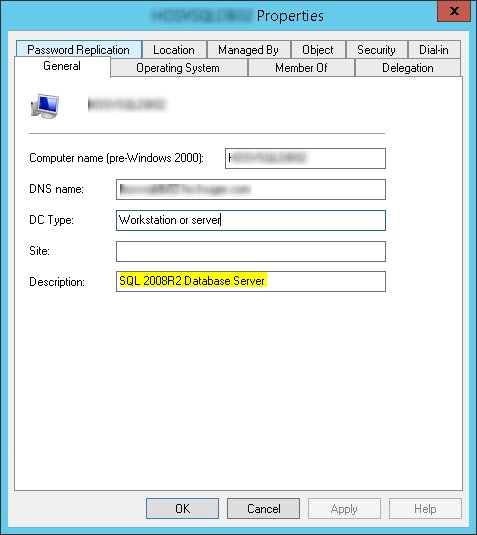 Can you please tell me where I can I find the custom attributes in SCCM SQL data base. Which specific view stores the AD attribute values? Interesting, I’ll try to reproduce in my lab. 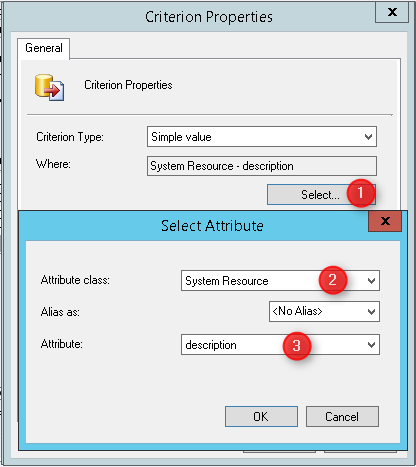 I find out the correct way, is use the custom button to import a cistom attribute “description”. Sorry for that question, but in my SCCM 2012 R2 isn’t the attribute description in Active Directory Attributes tab.